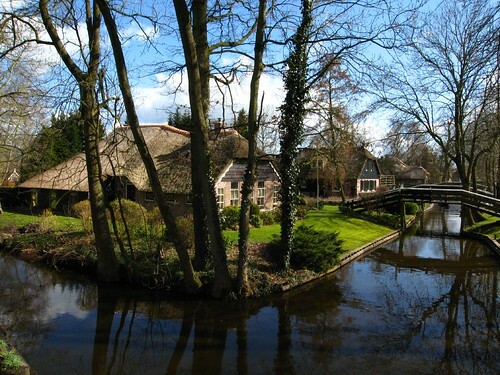 Giethoorn - a Dutch village is a well-known tourist spot in the Netherlands. Its main attraction is that there are no motorable roads in the old parts of the village. 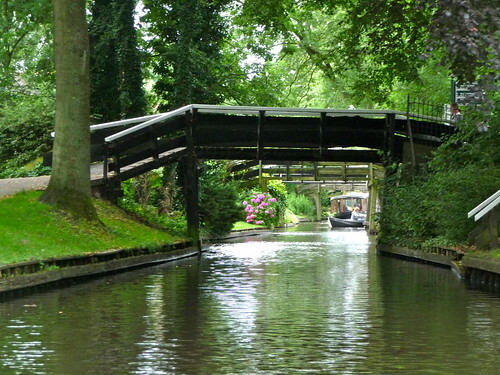 At one time it used to be totally free of the vehicular traffic and all transport was done by water over the canals. It is frequently referred as "Venice of the North" or "Venice of the Netherlands" and has many narrow canals, bridges and farmhouses. 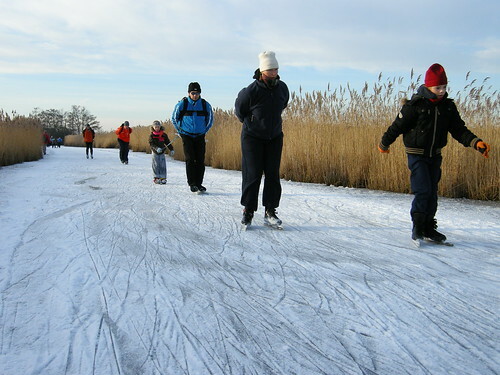 Nowadays there are few cycling paths in the old village. However the new township has normal roads. 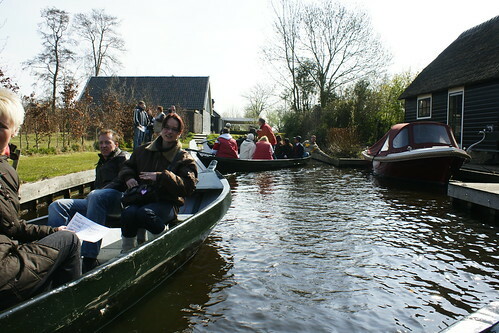 The lake and the small canals in Giethoorn were formed due to large peat stripping and the peat so excavated was transported by means of canals. ".... it's nothing new to live in a town in The Netherlands that could resemble Venice, Italy and there are many more. 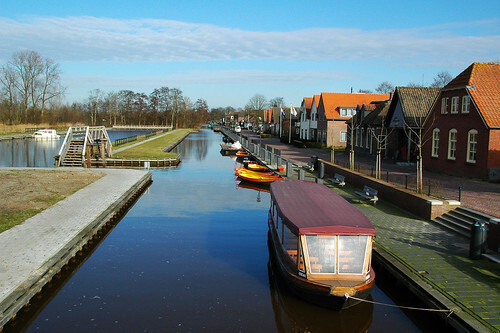 One of my family members lived in Broek in Waterland and as the name suggests, it too has wonderful small canals running through it's village. ....... it was actually the Dutch film 'Fanfare' by film maker Bert Haanstra that made the village famous in The Netherlands, as well as in the rest of the world. Bert Haanstra was an innovative film maker, famous for his observant style: http://www.berthaanstra.nl/english.html"
Credits: Special thanks to SSH for bringing this charming village to my knowledge. You might probably know that it's nothing new to live in a town in The Netherlands that could resemble Venice, Italy and there are many more. 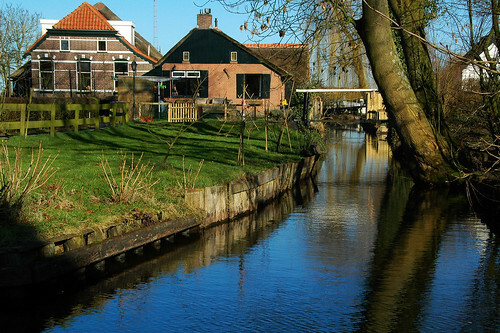 One of my family members lived in Broek in Waterland and as the name suggests, it too has wonderful small canals running through it's village. So you might want to include that it was actually the Dutch film 'Fanfare' by film maker Bert Haanstra that made the village famous in The Netherlands, as well as in the rest of the world.